$49.93 This item is selling for $49.93 on eBay. Top-Rated SellerSharpG consistently earns high ratings from buyers thanks to fast shipping and excellent service. Premium SellerSharpG has been a Silver member on Bonanza since March 21, 2018. WELCOME!!! THANK YOU FOR SHOPPING WITH SKU: WCAHBBG Brand: Wizards of the Coast The shadow of Bhaal has come over Baldur’s Gate, summoning monsters and other horrors from the darkness! As you build and explore the iconic city’s dark alleys and deadly catacombs, you must work with your fellow adventurers to survive the terrors ahead. That is, until some horrific evil turns one—or possibly more—of you against each other. Was it a mind flayer’s psionic blast or the whisperings of a deranged ghost that caused your allies to turn traitor? You’ll have no choice but to keep your enemies close! 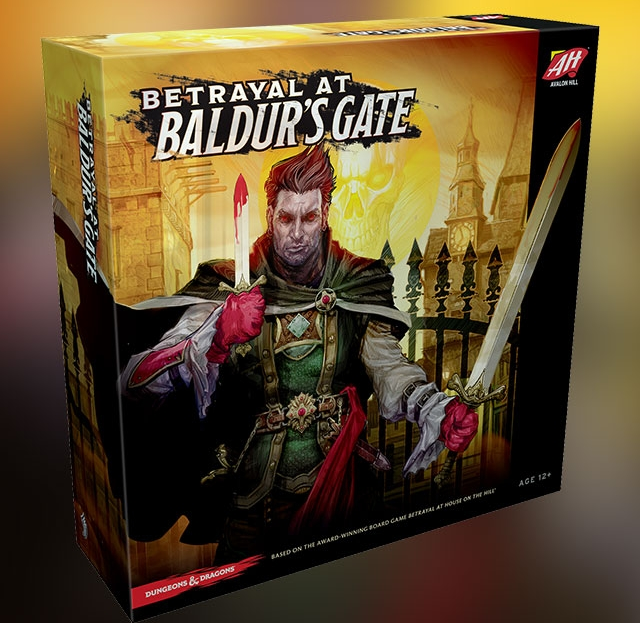 Based on the award-winning Betrayal at House on the Hill board game, Betrayal at Baldur’s Gate you’ll return to Baldur’s Gate again and again only to discover it’s never the same game twice. Can you and your party survive the madness or will you succumb to the mayhem and split (or slaughter!) the party? 1 rulebook 2 haunt books (Traitor’s Tome, and Secrets of Survival) 42 tiles, including: 13 building tiles 14 street tiles 15 catacomb tiles 1 Elfsong Tavern/Inner Chamber/Kitchen start tile 1 Catacomb Landing/Kitchen Basement start tile 6 prepainted plastic adventurer figures 6 two-sided character cards 30 plastic clips 8 dice 1 Turn/Damage track 80 cards (event, item, omens) 149 tokens 6 player aid cards 215 tokens REVIEWS From what we’ve seen Betrayal at Baldur’s Gate is a must-play for fans of Dungeons Dragons. - Polygon This may be a great gateway game to get your apprehensive friends and family interested in Dungeons and Dragons. - Geek Dad ...when you sit down to play a game of Betrayal at House on the Hill you're never quite sure what you're in for, what your final goal will be, or which (if any) of your allies will betray you. 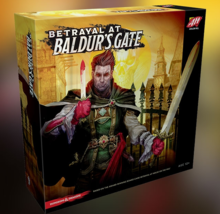 - Game Crate Between the inside jokes, the thorough layout, and the overall design; Betrayal at Baldur's Gate is a game highly recommended for those in the market for a new tabletop experience. - Comic Book Sharp Bros Gaming ships orders Same Day-2 Business days using USPS, UPS and FedEx Sharp Bros Gaming cannot ship orders placed AFTER 1:00 PM Eastern same day All orders placed after Friday at 1:00 PM Eastern will be shipped the following Monday Sharp Bros Gaming offers free shipping on most purchases anywhere in the continental United States! Sharp Bros Gaming takes extra care to prevent damage during shipping Sharp Bros Gaming offers tracking on almost all purchases No Cards are included in this listing This listing is for an item for card gaming supplies such as, but not limited to, sleeves, mats, dice, boxes, dividers, pocket pages, toploaders and various folios and binders and does not include any cards shown in stock photos or packaging. VIEW OUR STORE FOR DIFFERENT QTY's OR MESSAGE US WITH AN INQUIRY! Product reviews for "Wizards Of The Coast Game"